Product prices and availability are accurate as of 2019-04-22 11:15:54 UTC and are subject to change. Any price and availability information displayed on http://www.amazon.co.uk/ at the time of purchase will apply to the purchase of this product. Bike Outlet are proud to present the brilliant Concept Graffiti 18" Girls BMX Bike. With so many available recently, it is good to have a brand you can recognise. 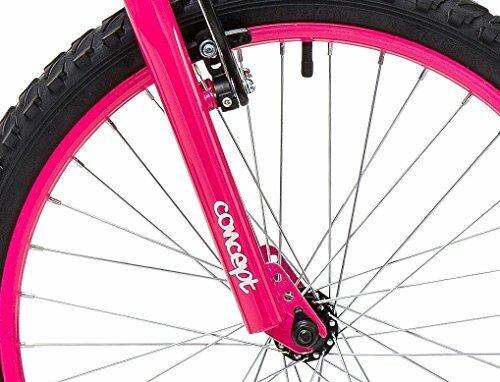 The Concept Graffiti 18" Girls BMX Bike is certainly that and will be a great acquisition. For this price, the Concept Graffiti 18" Girls BMX Bike comes highly recommended and is always a popular choice amongst most people. Concept have added some nice touches and this equals good value. 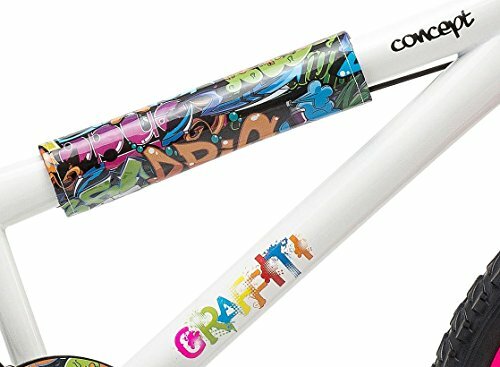 The Concept Graffiti bike is a trendy women BMX, for the girl attempting to show off her capability. The Graffiti is constucted from hi-tensile steel, making it a durable bike which can be delighted in on even the roughest track's. 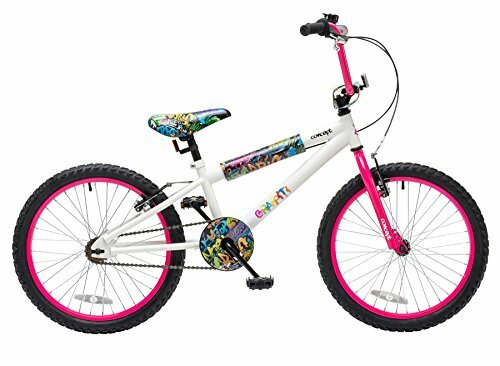 With big 18" wheels with pink rims, the Graffiti includes a strong black chainguard with Graffiti decals, with matching stem pad and saddle. 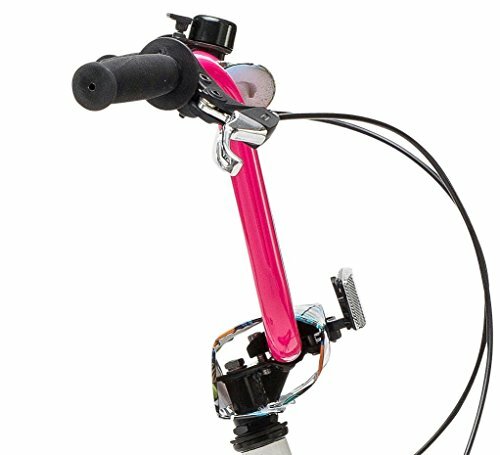 In addition it comes with a single speed 18 tooth freewheel for velocity and features effective V type brakes with adjustable 2 finger brake levers for small hands, allowing your child to be completely control of the bike. 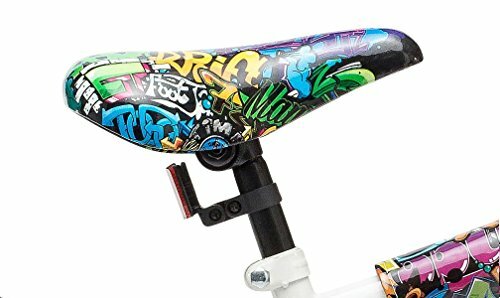 The Graffiti is likewise very safe, consisting of non-slip black pedals to ensure your child doesn't lose grip, whilst delivering an ultra smooth ride from complete bearing centers, bottom bracket and headset. The 18" wheel bike appropriates for riders aged 6 to 8 years. Frame: Boys Hi-Tensile Steel BMX Frame. Fork: Hi-Tensile Steel. Wheels: 18" Pink Rims with Black Hubs and 18" x 2.1" Black Tyres. Brakes: Front and rear V-brakes with alloy adjustable Brake 2 finger levers. Gears: Single speed with an 18 Tooth Freewheel, 36 Tooth Chainring and a 114mm forged one piece crank. Chainguard: Black plastic solid Chainguard with graffiti decals, full bearing bottom bracket. Steering: Steel Freestyle handlebar with 4-Bolt BMX Stem and matching Grips, full bearing hubs. Saddle: Concept graffiti saddle with a Black seat post. Features: Non-slip black pedals, handlebar/top tube/stem pads. Age Range: 6-8 years. Frame size: 9.5". 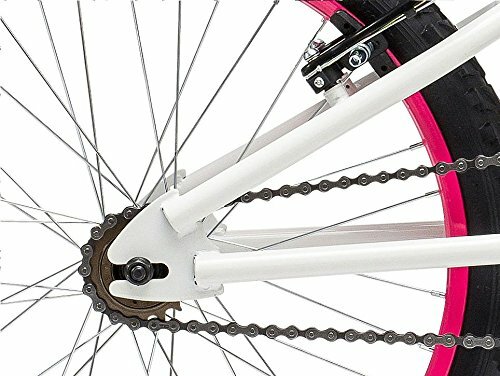 Colour: White frame with a Pink fork.